FREE VALUATION. 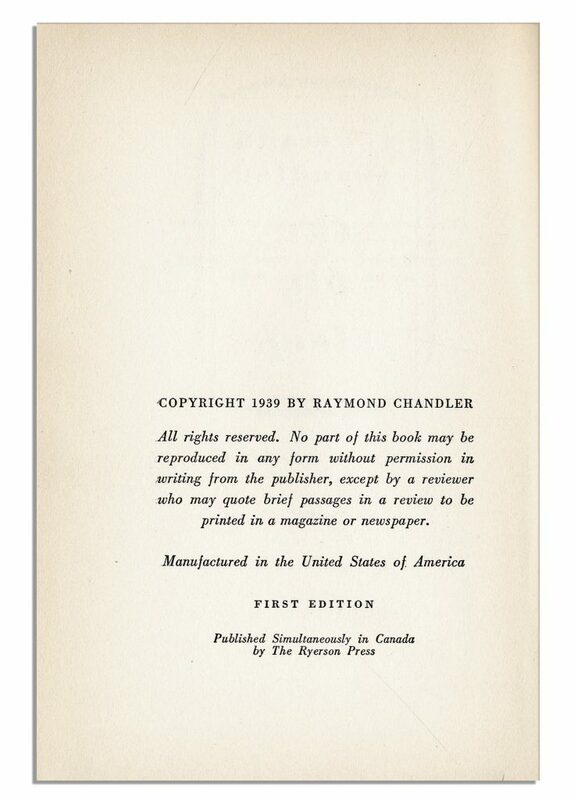 If you are looking to buy, auction, sell or consign your Raymond Chandler Big Sleep first edition that is for sale, please email Nate@NateDSanders.com or call the Nate D. Sanders Auction House (http://www.NateDSanders.com) office at (310) 440-2982. Top dollar obtained for your Raymond Chandler Big Sleep first edition. Raymond Chandler’s 1939 crime novel The Big Sleep remains a favorite eight decades after its original publishing. The novel consistently appears on top 100 novel lists, including those of Le Monde newspaper and Time magazine. 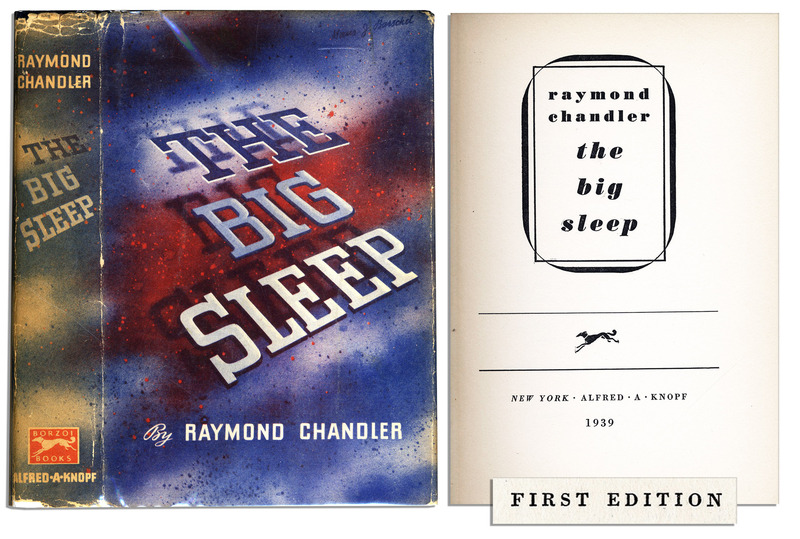 A copy of The Big Sleep first edition signed by Raymond Chandler sold for almost $60,000. Scarce first printing, first edition of Raymond Chandler’s most famous book, “The Big Sleep.” New York: Alfred A. Knopf: 1939. This novel introduced Philip Marlowe, the detective whose famous first lines in the novel illuminated a character that would forever change the canon of noir and establish the primacy of the hard-boiled detective novel as a genre during the 30’s and 40’s: “I was neat, clean, shaved and sober, and I didn’t care who knew it. I was everything the well-dressed private detective ought to be.” 277pp. book is in publisher’s original orange cloth, with very minor edge wear and very slight fading to the spine. Some discoloration along the hinges of the endpapers from binder’s glue. Original full-color unclipped $2.00 dustjacket has a few tiny chips and areas of loss to the edges, including one very short closed tear to top edge of jacket. An incredibly scarce copy of Chandler’s seminal work, rarely encountered in a well-kept and unrestored dust jacket. Sold for $2,600. Raymond Chandler Big Sleep First Edition. Click to enlarge. Copyright page of Raymond Chandler Big Sleep First Edition. Click to enlarge. FREE VALUATION. To buy, auction, sell or consign your Raymond Chandler Big Sleep first edition that is for sale, please email Nate@NateDSanders.com or call the Nate D. Sanders Auction House (http://www.NateDSanders.com) office at (310) 440-2982. Please let us know if you have a Raymond Chandler Big Sleep first edition for sale. Top dollar obtained for your Raymond Chandler Big Sleep first edition.